White Cars and Trucks – You need to be waxed! Step 1: Rinse with clean water. Step 2: Wash the paint with car shampoo. Step 3: Rinse with clean water. Step 4: Dry the finish. Step 5: Asses the condition of the white paint. Hi there, my name is Vince and usually we talk about OBD2 adapters, but lately we’ve been writing a lot about exterior vehicle maintenance. Today we’re gonna be talking about choosing the top wax for white vehicles and how to wax a white car or vehicle. I can still fondly remember my very first car. It was a 1991 Nissan Sunny with a 5-speed manual transmission, power steering, power windows, and ice-cold A/C. Yes, it was white, and it was beautiful. Back in the days, boxy cars were all the rage. My Nissan wasn’t perfect by any means. It wasn’t refined like the Toyota Crown or first-generation Nissan Altima. It wasn’t as fast as the Corolla AE91 with the 16-valve engine. It wasn’t roomy either. But it was mine. In the eyes of a sprightly teenager, that Nissan Sunny was the coolest car in the block. I spent countless hours washing and detailing my white Nissan. I would even go as far as waking up 3 hours earlier in the morning so I can wash and spruce up my ride before driving to school. You see, white paint is easier to maintain than black paint. Don’t believe me? Check out our article on how to perfectly buff, polish, and wax a black car. It takes a ton of work to make black paint look like it just rolled off the paint booth in the factory. Swirl marks are the number one enemy of black paint. Luckily for you, swirl marks are not as evident on white or light-colored paint. Mind you, I’m not saying that white paint is impermeable to swirl marks. If you look closely and point a flashlight on white paint, you can easily see minor swirls and scratches on the surface. They’re still there, although not as obvious or evident compared to black paint. The primary enemy of white paint are stains. Yes, this includes stains from bird droppings or tree sap. If the white paint in your vehicle is left unprotected or un-waxed for prolonged periods, even dust and rain will leave ugly black or grey-colored stains on the finish. White paint is not as delicate to detail as black paint, but it still demands using the right products and performing the right procedures to make your white paint stand out from the rest! In order to maintain the clean and pristine look of white paint, you will need to carefully inspect the condition of the surface after every wash. The tried and tested way of regular washing, polishing, and waxing is still the best way to keep white paint (or any color for that matter) looking great! If your white vehicle is relatively new, frequent polishing and waxing is enough to maintain the look of white paint. However, it’s a different story if you’re working on an older or stained white finish. You will need to properly wash, pre-clean/polish, and wax to restore the condition of the finish. You might even have to bust out the clay bar! In this article, I will show you the proper steps on how to wax a white car to perfection. I will also recommend certain products that I have used over the years and are proven to work perfectly on white paint. This is how I look washing my cars! Start by parking your car in a shaded area. It doesn’t matter what type of car shampoo you’re using. Washing a car under direct sunlight is not a pleasant experience, I guarantee you that! Here’s three car shampoos that I love and recommend! If you have access to a water outlet and garden hose, use it to spray clean water on the paint surface. This will remove excess dust and dirt that might otherwise leave scratches or deeper swirls on white paint. This is also the best time to remove thick dirt or mud prior to washing the paint with shampoo. Mix a capful or two of high-quality car shampoo with water in a medium bucket. The best car shampoos will produce a ton of rich and silky foam that will serve to encapsulate dust and dirt as you wash the paint. Depending on the brand of shampoo you use, this mixture might vary, so you might actually have to read those directions! Now, fill the other bucket with clean water. 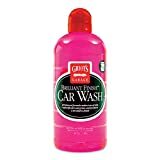 You will need this to rinse the wash mitt as you proceed in washing the vehicle. 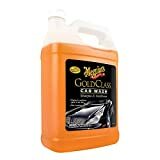 One of the best car shampoos is the Meguiar’s Gold Class Car Wash. It is formulated to clean and condition the paint in a single step. It is powerful enough to remove tough dirt and stains on the finish without stripping off the existing wax in your white paint. 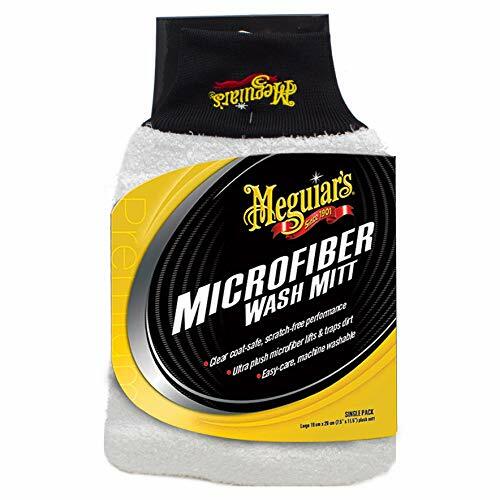 Now, simply dip the microfiber wash mitt in the bucket of soapy water and start by cleaning the top portions of your car: the roof, the hood and the trunk. Work your way towards the sides and the doors before washing the rocker panels and lower parts of the front and rear bumper. Remember to repeatedly rinse the wash mitt by dipping it in clean water as you wash the car. After washing the body, grab the garden hose and rinse off the soapy foam on the paint. Start by rinsing the hood, roof, and trunk. Finish by rinsing the sides and the bumpers. Now is the perfect time to wash the wheels and tires. Grab a separate cloth or wash foam and use the remaining soapy water to clean the wheels and tires. Don’t forget to rinse the wheels and tires before drying the vehicle. Grab a microfiber towel or chamois and proceed to remove excess water on the paint. It is highly advisable to start drying the hood, roof, trunk, and glass surfaces to prevent scratches and swirls on the paint. Now that the white paint is freshly washed, it is time to examine the condition of the surface. Are there stains or deeper scratches on the hood? Did you notice minor nicks and cuts on the rocker panels or door handles? The easiest way to determine if you need to wax a white car is to run your clean hands over the roof or hood of the vehicle. If the surface feels smooth, you can forego waxing for at least another week or two. But if the surface feels rough to the touch or you see hard to remove stains or discoloration, you should probably spend a bit more time to polish and wax the paint. Ammo NYC did a very thorough walkthrough of washing a car. I don’t perform all 15 steps in the video, but it’s a great guide to watch before washing your ride. Time to wax your white car! Image credits go to RallyWays – Check them out on Flickr! Waxing and polishing are different. You can begin applying wax if the white paint is relatively free from heavy stains, oxidation, tree sap, or asphalt. But if your white car still looks a bit dirty after a thorough wash, it is highly advisable to polish the surface before applying wax. The polish will gently cut away imperfections making your paint more even and cleaner looking. 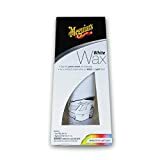 If you need some wax for your white or light colored vehicle, read the handy guide that Matt just wrote: What Is The Best Wax for White Cars? Find out now! 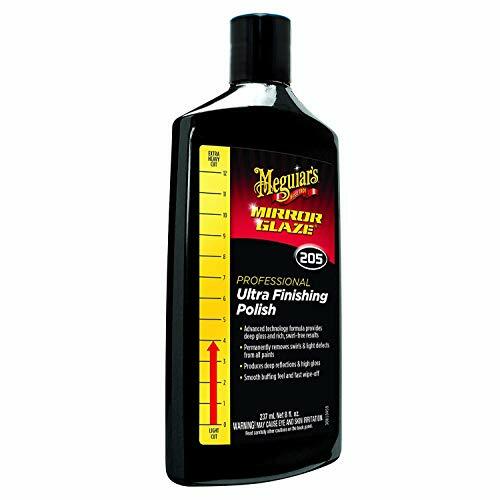 For light to moderate stains, I highly recommend the Meguiar’s Mirror Glaze Ultra Finishing Polish. This product can easily remove and dissolve and hard to remove stains from white paint. I was able to remove asphalt, tar, and tree sap without using a clay bar with this product. I also love the Nu Finish Liquid Car Polish. This product is one of the few pure polishes in the market that doesn’t contain wax. It is easy to apply and easy to remove without heavy buffing. You can even use this polish under direct sunlight. Pour a small amount of polish on a clean applicator pad and work the product on one small section at a time. Don’t wait for the polish to dry completely before removing the residue! After applying the polish, wipe off the excess immediately with a clean microfiber towel. Work the polish over stained or oxidized surfaces and remove the excess immediately. Start by polishing the hood, roof, and trunk in order to prevent light scratching. If there are hard-to-remove contaminants such as deep-seated tree sap or tar, use a clay bar before applying polish. Try the Mother’s California Gold Clay Bar System or the Simoniz Perfect Finish Detailing Clay Bar. Using a clay bar is the safest and easiest way to remove harmful and ugly contaminants on white cars. After applying polish, your white car is ready for a coat of pure carnuaba wax. Three of my favorite hybrid paste wax for white cars are the Meguiar’s White Paste Wax, Car Guys Liquid Wax, and the Chemical Guys White Light Hybrid Radiant Finish. All of those products are specifically designed to be used on white cars or light-colored paint. I have personally used all three products and they work beautifully on freshly polished white paint! However, it is hard to ignore the value and protection of pure carnauba wax. Carnauba wax is applicable to all paint colors. It is the hardest wax known to man and produces the deepest and glossiest shine while protecting your white paint from stains, oxidation, insects, and tree sap. 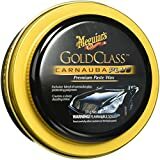 My preferred carnauba wax are the Mother’s California Gold Brazilian Carnauba Cleaner Wax and the Meguiar’s Gold Class Carnauba Plus Paste Wax. Both products are formulated using the finest Brazilian carnauba wax to provide lasting protection and a glossy shine. 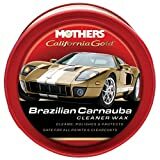 Mothers 05500 California Gold Brazilian Carnauba Cleaner Wax Paste - 12 oz. Always apply wax after polishing the vehicle. There are 2-in-1 products that promise to polish and wax the finish, but I find those products lacking in terms of cleaning performance and shine. Use a clean applicator pad and start by applying wax on the top portions of the vehicle to prevent scratching. Wax the hood, roof, and the trunk before waxing the sides and the bumpers. Only apply a small amount of product at a time. When it comes to waxing, more is not necessarily better. This is the reason why I prefer paste wax over liquid wax. With paste wax, it is easier to dispense the product on the applicator pad without using too much wax. Unlike polish that needs to be wiped off immediately after applying, wax must be allowed to dry to a haze before removing the excess. 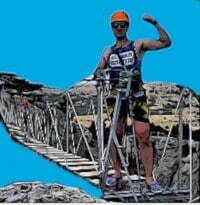 This will usually take 10 to 15 minutes depending on the prevailing weather conditions. In order to determine if the wax is properly dried, do the swipe test. Simply swipe your clean finger over a hazy waxed surface. If the haze wipes off clean, you can begin removing the wax from the paint. If the surface is still hazy, you should allow the wax to dry further for at least 10 more minutes. Use a separate microfiber towel to remove the haze. After removing the wax, turn the towel over and buff the surface lightly to achieve a premium, like-new shine. After waxing your white car, you will immediately notice the difference in terms of color and shine! In order to further protect the wax in white paint after each wash, I highly recommend using a spray detailer like the Mother’s California Gold Instant Detailer or the Meguiar’s Ultimate Detailer after washing the vehicle. You can use any of the two products after every other wash or preferably twice a month. Both products will enhance the shine and protection of white paint with a single application. Both products are also easy to use. Simply spray and wipe off! In order to maintain the appearance of white paint, you should wash your white car at least once a week. You should polish the paint at least every 6 months. Wax should be applied at least every 3 months to provide continuous year-round protection against dirt, bugs, insects, stains, and surface contaminants. It isn’t too hard to maintain the appearance of white or light-colored paint. I actually prefer a white car over a black car since I find white paint easier to care for than dark-colored paint. As long as you wash and wax your white car regularly, you won’t have to think about ugly stains that will ruin an otherwise perfect finish. Hi there, my name is Vince and usually we talk about OBD2 adapters, but lately we've been writing a lot about exterior vehicle maintenance. Today we're gonna be talking about choosing the top wax for white vehicles and how to wax a white car or vehicle.